How does research transfer work in the 21st century? How can scientific results be harnessed for politics, economy, media and society? The Impact School 2018: Science Transfer in the 21st century passed on helpful knowledge to scientists and provided practical training for opening science up to society. The Impact School is a training format that provides researchers with knowledge and skills for research transfer in the 21st century. The second Impact School: Science Transfer in the 21st Century, after the opening in 2017 took place in Berlin from 17 – 19 September 2018. 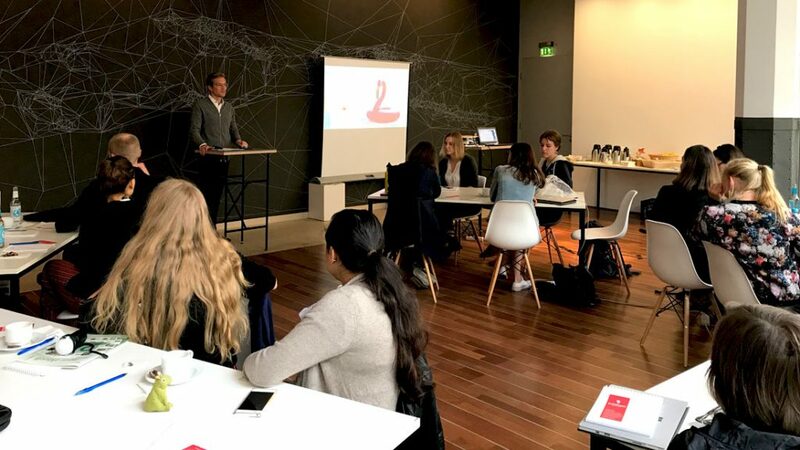 It was organised within the context of the Leibniz Research Alliance Science 2.0 by Impact Distillery (mStats DS GmbH), Alexander von Humboldt Institute for Internet and Society (HIIG), German Institute for Economic Research (DIW Berlin) and ZBW – Leibniz Information Centre for Economics. 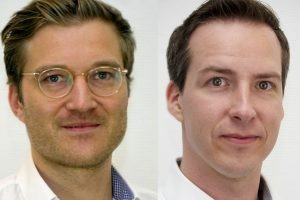 We talked to Dr Benedict Fecher and Dr Marcel Hebing, who developed the concept and also organised the training in 2018. What is the Impact School in general and what is its goal? The Impact School is a three-day summer school that focuses on knowledge transfer and social impact and is targeted at PhD students and postdocs. We find it absurd that every student learns at some point how to cite and publish, but are not even taught at graduate schools how to bring scientific results into society. This creates the impression, which is otherwise widespread, that the impact ceases when a paper is published. This is of course nonsense. Challenging but intellectually stimulating 3 days with a very cool group of people from all the different disciplines. Now off to enjoy the last evening in Berlin! In these three days, the participants should learn how to place their scientific topics in three different target groups (politics, media, economy). They should develop empathy for different information needs, an understanding of quality in transfer as well as their own transfer strategy. What did the participants at the Impact School do in September? We vary the content from year to year, always making sure that there is a theory and a practice block for each of the three thematic blocks. The theory block should generally deal with key actors and communication behaviour within the respective target group (for example: How do politicians inform themselves about scientific content? What does the scientific service do?). In the practice blocks, the participants develop their own transfer formats for their content (for example, a policy paper). Furthermore, we invite recognised experts and practitioners for each topic block. For example, on the evening of the business day, we organise a meetup to which we invite entrepreneurs who have founded their companies in science. On the political day, we organise a panel in which scientists who conduct scientific policy advice report on their work. The Impact School has been held twice so far. What are some of the recurring experiences and lessons learned? Experience has shown us that it is difficult for the participants to step out of their own comfort zone. But if they do that, they realise that they like new ways of thinking and also benefit from them. A good example is a group of alumni from the Impact School of the University of Warsaw, who has successfully applied the Business Model Canvas for a grant proposal. This group had previously learned the Business Model Canvas at the Impact School. For the next Impact School, we would like to develop our own transfer concept and further develop our framework for the individual impact strategy, then convey it to the participants. We also want to develop open educational resources because we believe the Impact School content could be used at many universities and graduate schools. How is the Impact School related to open science? Open science is often understood as purely introspective, as a principle for internal scientific value creation. One asks how scientists use infrastructures, how they share data and articles, and how they collaborate. Thus, openness can very quickly become an end in and of itself. In general, openness must serve a purpose, such as improving the quality of scientific processes or increasing efficiency. In this sense, openness can also be understood as open to the outside world. In other words, how does science affect society? How do we make it possible for relevant findings to overcome disciplinary barriers and make them usable for social stakeholders? Several partners are involved in the Impact School, including the start-up Impact Distillery. What is the bigger vision behind it? The Impact Distillery is a think-and-do-tank. We work to ensure that scientific knowledge or other forms of knowledge, for example, in companies, are not only somehow archived and documented, but also applied in practice – in other words, to generate impact. Impact starts with the production of high-quality databases. From this, insights are gained and their true impact becomes apparent in the practical implementation. Since 2017, Dr Benedikt Fecher has headed the “Learning, Knowledge, Innovation” research programme at the Alexander von Humboldt Institute for Internet and Society. The programme addresses issues at the interfaces of science and digitisation and education and digitisation. Benedikt is also co-editor of the blog journal Elephant in the Lab, which critically examines the scientific system. He is also a member of the editorial board of Publications, an open access journal. In his research, Benedikt deals with questions concerning the governance of science and innovation, in particular with the topics of impact and third mission, open science/open access and research infrastructures. 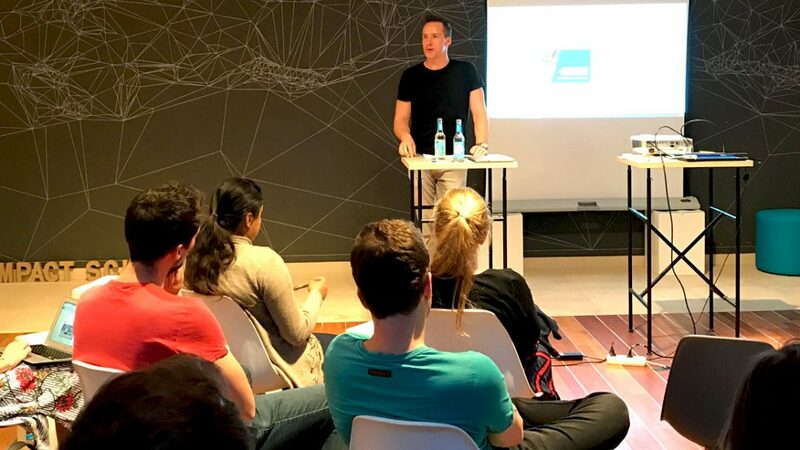 Dr Marcel Hebing is data scientist (Ph.D.), founder of Impact Distillery (mStats DS GmbH), and associate researcher at the Alexander von Humboldt Institute for Internet and Society (HIIG). His unique background in computer science, sociology, and statistics brings a critical yet rare understanding of data quality issues in statistics, interpretation and machine learning scenarios. Marcel’s work focuses on three pillars: (1) generating profound and actionable insights using statistical and machine learning methods, (2) building highly automated software infrastructures for data management and analysis, and (3) ensuring highest quality standards throughout the entire data life cycle, to offer a profound basis for social, political, and economic decision making. Marcel’s most recent experience includes seven years of building software infrastructure for one of the world’s largest socio-economic datasets (Socio-economic Panel Study, SOEP) at the German Institute for Economic Research (DIW Berlin), Germany.